Brands can spur mobile wallet adoption by utilizing this new technology to create a better customer experience. It’s estimated that mobile wallet usage around the world will increase by more than a third by 2021. Encouragingly, last year also saw an increase in mobile wallet use. But adoption is still slow - you only need to Google the recent consumer studies by PYMNTS and InfoScout on mobile wallet adoption to see the data. Why? Well, one of the main reasons is that people are still happy with the way they’ve been paying for the past few decades, using cards and cash. It was also reported by Business Insider Intelligence’s ‘Payments Briefing’ that reasons for not using mobile payments include security concerns, the lack of benefits, trust and difficulty. While consumers, and brands may still think of mobile wallets as purely a payment mechanism, it turns out that its other varied uses might actually be the key to this technology taking off. To change purchasing patterns of consumers, and get them to overcome initial setup barriers and realise security benefits there needs to be a compelling reason for them to try it out. Without this, many shoppers won’t break traditional habits at checkout. Apple Pay, Android Pay and Samsung Pay have received lots of attention, but the potential to improve overall customer experience through non-payment uses of mobile wallets such as loyalty cards, membership tickets and vouchers will truly unlock the full potential of mobile wallets for both brands and consumers. Brands are increasingly using the non-payment capabilities of mobile wallets to reach and engage consumers, and we’ve found that customers are responding to this — and want more. Mobile wallets are now among the top four ways consumers want to communicate with brands about sales, vouchers, loyalty programs and more. In our State of Mobile Wallet study we revealed that 45% of UK consumers have used mobile wallets in the past three months and they want to use them more. From the same report, we found that millennials (67%) are at the top of the list for consumers who use mobile wallet passes, Generation X (51%) and higher-income mobile users are not far behind, whilst Baby Boomers (28%) are catching up. Card payment firm Square also reported that they’ve seen a high adoption rate among millennials using mobile wallets. Despite millions of people having access to pre-installed mobile wallet apps on their phone, brands and businesses need to lead efforts to help consumers become aware of how simple and useful they can be to use, and in turn reap better customer engagement for the brands that get it right. It's a win-win all around. One of the best and most common use cases for wallet passes is replacing traditional loyalty cards (the top three mobile wallet items consumers have used the most are loyalty cards, coupons and boarding passes). In the UK, loyalty cards are a large part of the consumer experience. YouGov reported that three-quarters of British shoppers carry between one and five loyalty cards with them at all times and 78% of the UK said they “always” or “often” use them. The use of physical cards can be ineffective though. 94% of people belong to at least one loyalty programme, but nearly half admitted to never actually using them, according to a 2014 GI Insight UK survey. Forgetting the card at home, or forgetting to use it altogether, are common reasons, which make sense considering consumers might belong to several loyalty schemes at once. Customers want the bonuses that come with loyalty without the hassle of remembering all their cards. Mobile wallets also give brands the opportunity to create a ‘living and breathing’ loyalty card that can send notifications to a device lock screen providing a new communication channel for businesses. And for the shopper, this means an easy way to use their card, check their rewards status or points balance and access the perks they love earning. People are also more likely to use loyalty cards if it’s on their phone, and already 55% of people are likely to use their phone to pay for things at the register. That likelihood rises to 73% when loyalty discounts and offers are automatically applied with payment — a whopping 33% increase. For businesses, there are advantages too, as vouchers in mobile wallets are used more often, and drive in-store traffic. As an example, Starbucks saw 21% of transactions were made via the mobile app Starbucks Rewards. According to a report by BI Intelligence, the key to Starbucks’ success was its seamless incorporation of special deals, loyalty program, notifications, and personalisation inside the one app. With considerations made for customer pain points (such as the ‘Mobile Order & Pay’ function, making the morning coffee rush easier) and a push to make the customer ‘earn’ a free drink through the loyalty scheme, Starbucks placed customer experience and loyalty at the centre of the app proving that this can have great results. Today’s shoppers expect personalised and frictionless interactions with the brands they love. If they let a brand market to them on their mobile device it is most likely because they expect to receive valuable utility in the exact moment they need it, without any signup hassles or forms to fill out. Recently announced VAS capabilities on Apple Pay provide auto enrolment features that allow a customer to seamlessly join a brand’s loyalty program in just a few taps. At checkout the consumer gets a notification asking if they’d like to join the program. Tapping on it takes them to a pre-filled form as well as the scheme's terms and conditions. A couple more taps and they have a personalised wallet pass on their device. It’s a truly simple customer experience and brands not only get the benefit of increased engagement but also far better customer data because it is pulled directly from their phones. 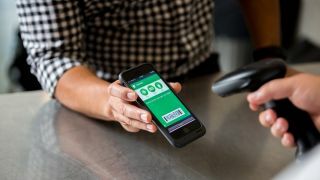 The next time they use Apple Pay the business’ loyalty pass is automatically served up, preventing it from being forgotten and creating the kind of in the moment customer experience that today’s shoppers love. When it comes to mobile interactions with brands, above all consumers want frictionless utility that provides them with value in the moment. There’s never been an easier way for businesses to gain a persistent, personalised and proactive mobile connection to customers. The key is for brands to harness the varied capabilities and potential of mobile wallets when it comes to creating a stand-out customer experience. Once more businesses get this right, the use of wallet passes in the form of loyalty programs, membership cards, vouchers, event tickets, etc. will provide a compelling reason for customers to consider adopting mobile payments.